Akbar is a Sufi guide living in Qualicum Beach, BC. He and Sharda have recently moved there from Sunnybrae, British Columbia. 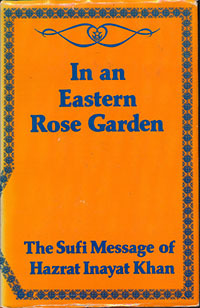 My first connection with the Sufi Message was reading the book "In an Eastern Rose Garden" by Hazrat Inayat Khan. I thought it was the most beautiful expression of ideals which I could immediately relate to in my life. The book was given to me by Sufia Carol Sill who had obtained it from the Lucis Trust Library in New York, an esoteric library which distributed many spiritual, psychological and philosophical texts. Reading the book made me want to find out what more I could do on a practical level to continue to study the inspiring ideas presented by Inayat Khan which led to contact with Shamcher Bryn Beorse, a Norwegian mystic and one of the last mureeds (students) initiated by Inayat Khan. Through contact with Shamcher we formed a sufi study circle, first in Edmonton and later in Calgary as well. I have been inspired by contact with many exceptional teachers of the sufi path, amongst them Shamcher Bryn Beorse, Pir Vilayat Khan, Pir Moineddin Jablonski, Pir Shabda Kahn, Sheikh Shahabuddin Less, and others. My own teacher for a quarter of a century although he would never accept that claim, Pir-o-Murshid Hidayat Khan, was a dear friend and a constant inspiration. 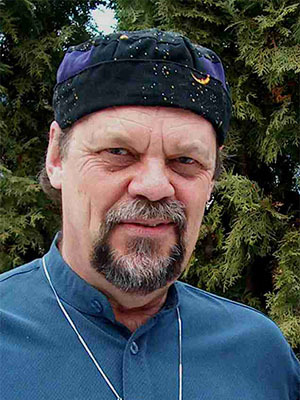 Throughout my life I have had contact with a variety of spiritual traditions and practices including Zen Buddhism, Tao Chi, Hindu philosophy, Native American Wisdom traditions, and more which have led to my present understanding of the world and my place in it but the teachings of Love, Harmony and Beauty have touched me the deepest and have given me a viewpoint and a perspective with which I interact with the world and the people and conditions in my life. The teachings of Inayat Khan and other sufi teachers have allowed me a framework from which I interpret the world and a way to polish the mirror of the heart so that I can both enjoy the beauty found in our daily lives and withstand the pain and sorrow that is also a part of being human. I don't know what my life would be like without this framework and I try daily to live up to the ideals expressed so eloquently in the teachings of Inayat Khan.